Mailbox Happiness: My Latest Stationery Thrift Finds! What...a post that's not Christmas related today! This box of pretty stationery only set me back $1.50. 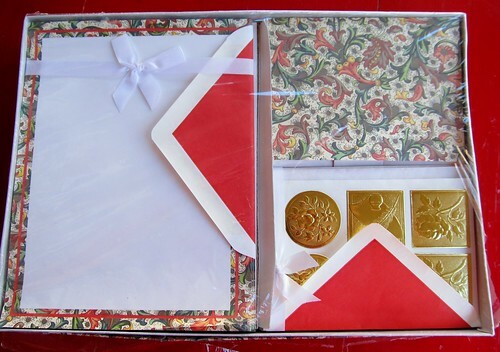 It contains stationery sheets & folded cards, matching envelopes for both and pretty stickers to use as seals. Brand new box of stationery-$1.50. If you were in the store with me, you'd have seen me jumping up and down...Oh Happy Day! 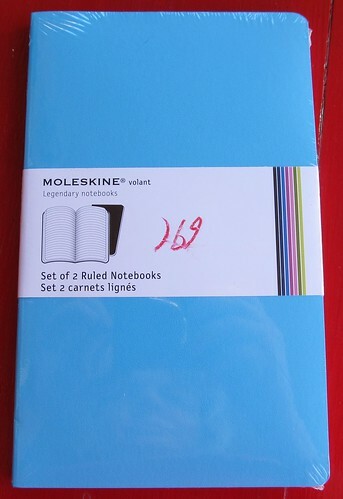 Brand new sealed set of 2 Moleskine Ruled Notebooks for $1.69. I felt like a squirrel who had just found the nut of the day with this treasure in my cart! Delighted out of my mind! 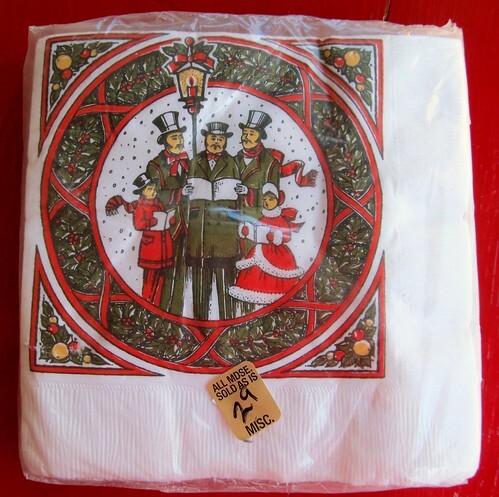 Vintage Hallmark napkins still in the package for .29, the original price on the back is .69. I love them! Do you shop at thrift and charity stores? Look for certain items? oh good that blue moleskine is really cute! 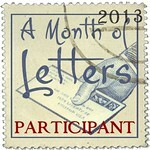 and the letter sets are so cheap! lucky you! I love your stationery finds, specially the one with the flowers. It's amazing!! and those napkins are lovely. 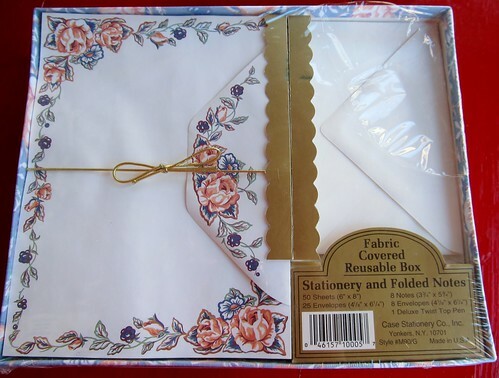 Wow, only $3 for 2 pretty stationery boxes... Lucky you! When I go shopping at thrift stores, I usually look for books or small tables / or bookcases.